Richardson’s record of public service was wide-ranging. In the 1960s he was Massachusetts’ lieutenant governor and attorney general. Under Nixon he also served as secretary of health, education, and welfare, secretary of defense, and under secretary of state. Under President Gerald Ford he was ambassador to Great Britain, secretary of commerce, and the United States’ chief negotiator at the Law of the Sea Conference. In 1984 he ran for the U.S. Senate from Massachusetts. In 1990 he headed the U.N. delegation monitoring elections in Nicaragua. He perhaps was best known, however, for refusing Nixon’s order to fire special prosecutor Archibald Cox during the investigation of crimes, cover-ups, and abuses of power revealed in the aftermath of the June 17, 1972, break-in by Nixon campaign operatives of Democratic Party headquarters in the Watergate Hotel. Nixon was resisting Cox’s attempts to subpoena tape recordings of White House discussions believed relevant to the investigation. Nixon, who eventually was driven from office by the Watergate affair, contended the nine tapes were privileged. Richardson refused Nixon’s order and resigned, as did his deputy, William Ruckelshaus. Solicitor General Robert Bork eventually executed the president’s order, an action that probably doomed his nomination to the Supreme Court in 1987. 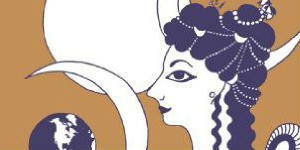 The events took place on the night of Saturday, October 20, 1973. 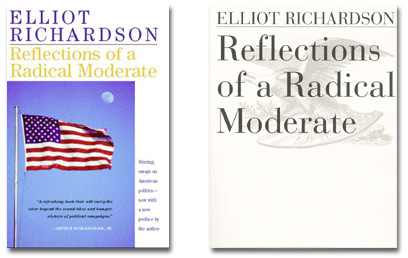 “The more I thought about it, the clearer it seemed to me that public confidence in the investigation would depend on its being independent not only in fact but in appearance,” Richardson wrote in his 1996 book, Reflections of a Radical Moderate. A Harvard law graduate, he served in World War II and was decorated for heroism during and after the D-Day landings in Normandy, June 6, 1944. In 1998, Clinton awarded him the Presidential Medal of Freedom, the nation’s highest civilian honor. MARRIED: Anne Francis Hazard, Aug. 2, 1952. CHILDREN: Henry Shattuck, Jan. 16, 1955; Anne Hazard, March 28, 1957; Michael Elliot, Jan. 28, 1960. OCCUPATION: Lieutenant governor, Commonwealth of Massachusetts. OFFICES HELD: Associate, Ropes, Gray, Best, Coolidge & Rugg, Boston, 1949-53, 1954-56; partner, Ropes & Gray, Boston, 1961-62; 1963-64 assistant secretary, 1957-59, acting secretary, April-July, 1958, U.S. Department of Health, Education & Welfare; U.S. Attorney for District of Massachusetts, 1959-61; special assistant to U.S. Attorney General, April-June, 1961; lieutenant governor, Commonwealth of Massachusetts, since 1964; secretary, 1955-56, trustee, 1961-64 Massachusetts General Hospital; general chairman, Greater Boston United Fund Campaign, 1963-64; vice president and director, Massachusetts Bay United Fund (formerly United Fund of Greater Boston), since 1963; director and past president, World Affairs Council of Boston, since 1961; director, Salzburg Seminar in American Studies, since 1959; United Community Services of Metropolitan Boston, since 1960; trustee, Radcliffe College, since 1959; Civic Education Foundation, Tufts University, since 1964; member, Advisory Committee, Massachusetts Council for Public Schools, since 1959; member, Standing Committee, Trustees of Reservations, since 1960; member, executive board, Boston Council, Boy Scouts of America, since 1964; director, Alumni Association, 1957-60, member, Ad Hoc Committee on Law School Faculty Appointments, Committee to Visit the Medical School and the Dental School, Committee to Visit the Graduate School of Public Administration, Committee to Nominate Overseers, Committee to Visit the Law School, Committee to Visit the Department of Government, Harvard University. 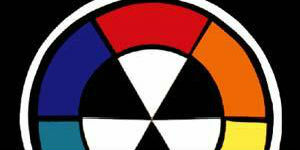 MEMBER OF: American Academy of Arts & Sciences, since 1958; 1941 Permanent Class Committee, Harvard University. PUBLICATIONS: “Poisoned Politics,” The Real Tragedy of Massachusetts, The Atlantic Monthly, October, 1961, vol. 208; “Freedom of Expression and the Function of Courts,” 65 Harvard Law Review, (1951). Looking back over twenty-five years and counting law school, the Army, law school again, and each new return to law practice as a different assignment, I find that there have been sixteen of them in all since 1941. In the five years since then I have made the transition from lawyer-active-in-politics to politician-who-happens-to-be-a-lawyer. Until 1962 I alternated between government, public service jobs, and the private practice of law. Although in the process I had worked in many political campaigns, I was not myself a candidate. I found myself nominated as the Republican candidate for lieutenant governor. Having spent several months’ hard work without being nominated two years before, this turn of events felt somewhat peculiar. It was a step I took, however, only after receiving the firm assurance of the Republican gubernatorial candidate, John Volpe, that if we were both elected he would give me substantial responsibilities in state government, for I saw little to look forward to in two years as a state-level Throttlebottom. 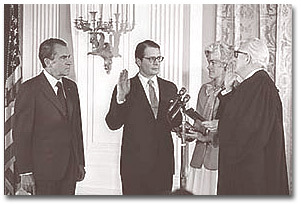 Elliot Richardson is sworn in as Secretary of Defense in February of 1973. President Nixon looks on as Richardson’s wife, Anne, holds the Bible and Chief Justice Warren Burger swears him in at the White House. The Governor has given me more than enough to do, and I have been extremely busy as his coordinator of health, education and welfare programs and as chief organizer of public support for a tax program relying principally on a limited sales tax. Except for the substantial certainty that I shall be a candidate for something, next year’s prospects are also uncertain. But uncertainties are part of the endless fascination of politics, and the satisfactions heavily outweigh the frustrations. The chief sufferers are family life and leisure. Happily, my wife is a great campaigner in her own right and she is often with me. The children come along too some- times, especially to parades. And there are occasional—and hugely enjoyable—interludes of skiing or fishing and swimming and tennis. 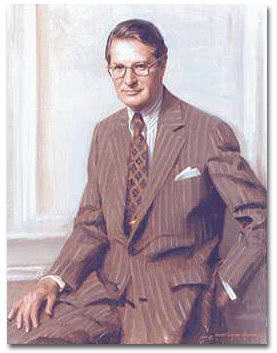 Elliot Richardson, U.S. Secretary of Defense. Photo by Everett Raymond Kinstler, 1973. You were ushered into the White House Cabinet Room—if you were one of the fortunate folks—and shown a red leather chair. Ordinary enough in front, but down the back—instead of the one or occasionally two silver plaques describing the Cabinet offices held by the occupant—there were four. No, said the usher, there has never been anything quite like it. Nor is there likely to be. Four Cabinet appointments! And two ambassadorships, and two constitutional offices in a major state, and a slew of other public offices of consequence. This tribute to Elliot Richardson is about his life and achievement, of course, but it is also about us. For all of his awesome public success, he never reached the peak that others predicted for him (and for which he may have had a twinge of hope)—the presidency. From start to finish, there was Richardson the Lawyer. President of the Harvard Law Review, and clerk to Judge Learned Hand—who is seen by many American scholars as the greatest of our jurisconsults, on a par with Elliot’s hero Justice Holmes. Later clerk to Justice Felix Frankfurter. Associated with, and soon a partner of, the highly respected Boston law firm now known as Ropes and Gray, and a lecturer in law at the Harvard Law School. 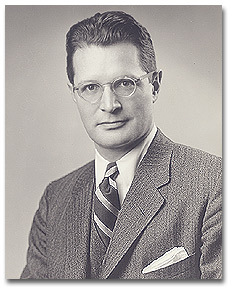 His legislative skill drew Richardson into his first national public service, appointed by President Eisenhower in 1957 as Assistant Secretary for Legislation in the U.S. Department of Health, Education, and Welfare. His lawyerly skills led the same president to appoint him U.S. attorney for the District of Massachusetts in 1959, where he began a brilliant prosecutorial career by tackling major influence peddlers in Boston and brought down a White House intimate, Bernard Goldfine, for tax evasion. These lawyerlike qualities made him one of Massachusetts’s more successful attorneys general, and then—as the world knows all too well—the United States attorney general who refused to accommodate the corruption of the Nixon White House and forced a vice president out of office. Those same skills served him—and his country—later when he patiently negotiated a superb international treaty on the Law of the Sea, having been appointed by President Carter, who recognized talent across the aisle. And of course, it was to this lawyer’s life that Elliot Richardson returned when he found in 1984 that his brand of political service had gone out of vogue. In a sort of intellectual homecoming, he gave the same dedication to his senior partnership at the grand old firm of Milbank, Tweed, Hadley and McCloy that he had to all his other service. There was also—overlooked by too many of us—Elliot the successful politician. Starting with service as a town meeting member and library trustee in Brookline in 1950, followed by service on the staffs of Sen. Leverett Saltonstall (1953-1955) and Gov. Christian Herter (1955-1956), he showed lifelong fidelity to a type of progressive (now called “moderate”) Republicanism: problem-solving with conscientious attention to consequences, management with considerable care for those whose money was being spent, public service with complete integrity. Richardson the politician also endured a disappointing loss in 1962, in the Massachusetts Republican convention and primary, to his friend Edward Brooke. Victory followed on the heels of defeat, however, with his 1964 election as the lieutenant governor of Massachusetts, on a ticket with the restored-to-office Gov. John A. Volpe. 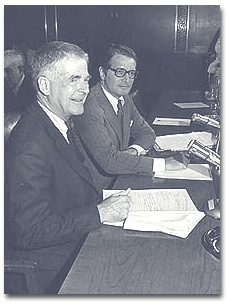 Elliot Richardson and Archibald Cox wait for the start of Senate Judiciary Committee hearings in 1973. Much has been made—too much, Richardson believed—of his extraordinary courage in refusing to fire special Watergate prosecutor Archibald Cox and of his resignation in the face of presidential pressure. An episode a decade earlier in Massachusetts, when he sublimated his own ambition for what he perceived as a public cause, shows that the so-called “Saturday Night Massacre” was no fluke. In 1969, Massachusetts Attorney General Richardson was appointed by President Nixon as Under Secretary of State. By resigning immediately from his Bay State position, Elliot could have accorded the Republican governor an opportunity to appoint one of his own as attorney general. Instead, out of respect for the constitutional process, Richardson remained at his post until confirmed by Congress, throwing the choice in Massachusetts to the legislature, which made its Democratic Speaker the new attorney general. The State Department appointment initiated Richardson’s astonishing career in the upper levels of federal service. In those years he chaired a sub-cabinet committee that worked to reduce U.S. establishments abroad and to modernize the diplomatic corps. In mid-1970, he became secretary of the troubled Department of Health, Education and Welfare, supervising 107,000 civil servants. In the ensuing three years he restored the morale of the agency, energized the Head Start program, decentralized services, and helped to articulate the Nixon-Brooke “guaranteed annual income” scheme. He worked on some of the earliest desegregation busing proposals and was hard at work on other reforms when the president asked him to become Secretary of Defense in 1973. Just as he was mastering this enormous agency and reordering its priorities, after three months he was moved once again, this time to become Attorney General of the United States. It was in this role, from 1978 to 1975, that he made perhaps his grandest contribution to the problem-solving of the republic—and also experienced his most notable hour in public service in the Watergate affair. Later, Richardson stated that he preferred to be remembered for his lawyerly achievements at the Justice Department. He worked hard on an epidemic of highway deaths and reopened the question of high rates of recidivism. He studied, as he had in Massachusetts, the problems of wiretapping and witness immunity. But then, rather to his dismay, he found himself engulfed in the darker side of the Nixon White House. In the first great crisis, he performed the miracle of working out the least possible disruptions involved in the removal of Vice President Agnew from office and the succession of Gerald Ford. Fortunately, President Ford, newly installed, stepped in and Elliot found himself at Winfield House in London, as a highly successful American ambassador to the Court of St. James’s. 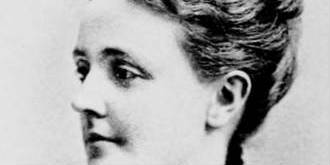 As in all his public service, his success here owed much to his charming and accomplished wife, Anne who had been captivated, according to family accounts, not by his intelligence so much as by his skill as a ballroom dancer. But the ambassadorship also ended prematurely, when the president—setting Elliot on a track for the highest offices—appointed him Secretary of Commerce in 1976. There he took a lively and effective interest in job creation and explored the possibilities of corporate democracy and flextime. Some of his inventiveness in this period was translated into an extraordinary book, The Creative Balance. After a lengthy unavoidable commentary on Watergate, this work branches into an altogether remarkable in-depth consideration of many of the unsolved problems of American public administration. Here we find Richardson’s careful analysis of the decline of community, and the complicated balancing act between equality and liberty which informs modern American politics. Here, too, we find Elliot arguing with himself (and sometimes admitting to a change of mind) over matters such as the “exclusionary rule,” which bars the use in courtrooms of evidence defectively obtained (and thus indirectly punishes the public for the malefaction of the law enforcement official). It shows throughout the reasoned balance and fairness of mind which hints that he would have been one of America’s great jurists. His public service did not end at the Commerce Department. President Carter asked him to negotiate a treaty on the Law of the Sea, which he did with extraordinary skill and considerable disappointment when the United States failed to sign. Later he monitored elections in Namibia and Nicaragua. President Clinton awarded him the Presidential Medal of Freedom in 1998. What Elliot Richardson was, in the end, was a polymath, an intellectual, a public servant par excellence, a keen observer, and a truly great manager. He was also—as his family and friends would emphasize—a superb human being. If knew how to make it so, this book would sound like a radical tract. For I am a radical—a radical moderate. I believe profoundly in the ultimate value of human dignity and equality. 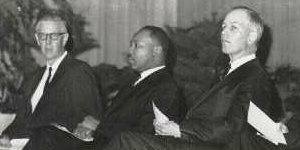 I therefore believe as well in such essential contributors to these ends as fairness, tolerance, and mutual respect. In seeking to be fair, tolerant, and respectful I need to call upon all the empathy, understanding, rationality, skepticism, balance, and objectivity I can muster. These are the attributes of moderation. 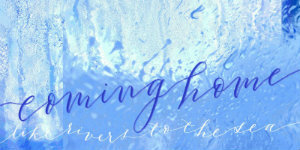 For me, moderation is not a fighting faith but a faith worth fighting for. My commitment to it is passionate, uncompromising, and deep-rooted—hence, radical. Moderates have ideals, but they are not starry-eyed idealists. Moderates perceive clearly the ugly aspects of human behavior, but they are not hard-bitten cynics. Moderates try to see the world clearly and see it whole. They are realists. As everyone knows, moderation is not colorful or dramatic. Its deliberations tend to come across as dull. Moderates seldom get headlines, and their utterances cannot easily be reduced to sound bites. All this is unfortunate. It would be better for the health of the democratic process if moderate centrism could get itself at least as much attention as right wing conservatism (left-wing liberalism has almost disappeared). Being problem-solvers, moderates put a premium on solutions. It takes much more than split-the-difference, down-the-middle compromise to work out a sensible accommodation among valid competing claims. To achieve and maintain a creative balance you have to be resourceful and inventive. Take, for example, constitutional conventions, bills of rights, and means of curbing abuses of private power that leave adequate room for private initiative. These are among the moderate tradition’s most durable inventions. Similar resourcefulness has more recently found ways of advancing civil rights, protecting the environment, and strengthening the federal-state partnership. For a long time now it has been my good fortune to occupy one or another well-situated perch from which to observe the interplay of government and politics. The scenes I witnessed provided a fascinating display of human behavior. Watching the actors perform reinforced my awareness that our conduct is only partially accessible to reason and never fully controlled by it. Our most pathetic and amusing actions, as well as the noblest and most inspiring, are driven by the need to endow our identities with enduring significance. The former include both the compulsive pursuit of recognition and shallow attempts to stave off oblivion. To ask a status-seeking young person, “Why knock yourself out for a fleeting reward?” would be like asking a salmon why it hurls itself upstream. But just as the salmon’s spawning helps to perpetuate its species, so society’s approbation acknowledges some benefit to itself. The examples of noble and inspiring conduct that I’ve also seen have in common the pursuit of some good end for its own sake. Some of these examples have involved unselfish devotion to the public interest, some unswerving adherence to the merits, and some conspicuous courage under pressure. Countless individuals whose performances I watched neither sought nor expected recognition but nevertheless felt the desire to play a meaningful part in dealing with broadly shared concerns. What else would explain their speaking so feelingly of the desire “to make a difference”? It would have been impossible in the circumstances not to accumulate a considerable store of insights and opinions, and as time went on I began to think about putting them on paper. What got me started was my growing concern that burgeoning complexity, rampant distrust, and cynical appeals to narrow interests were threatening to extinguish the spirit of moderation. At first I assumed that all I had to do would be to take already well-formed thoughts, put them in order, and find the right words. I was wrong. The “well-formed thoughts” turned out to be riddled with gaps and inconsistencies. That was the bad news. Yet from the filling in and straightening out that went into correcting these flaws gradually emerged a much clearer understanding of the subjects I wanted to discuss. Indeed, it has occurred to me that the more successful I have been in communicating this clarity, the more likely you will be to say, “Surely this is obvious!” Perhaps. But it may also be profound. Elliot Richardson was a lifelong member of the First and Second Church in Boston. This Unitarian Universalist congregation, the oldest church in Boston, was founded in 1630. 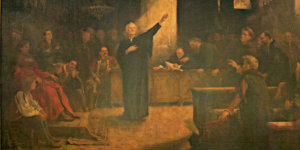 The covenant then signed in the course of the two days is still the basis of membership in the church.